What to Watch For: Martin Truex Jr. tries to defend his spring Charlotte victory. He has won three of the last five NASCAR Sprint Cup Series races and led the most laps in the two he didn’t win. … Joey Logano attempts to repeat as the Charlotte fall winner. … Jimmie Johnson looks to add to his track-record seven wins. … Kyle Busch goes for his first Charlotte win. He has visited Victory Lane at every active track except for Charlotte and Pocono. … Non-Chaser Kasey Kahne looks to spoil an automatic bid for a Chase-eligible driver. 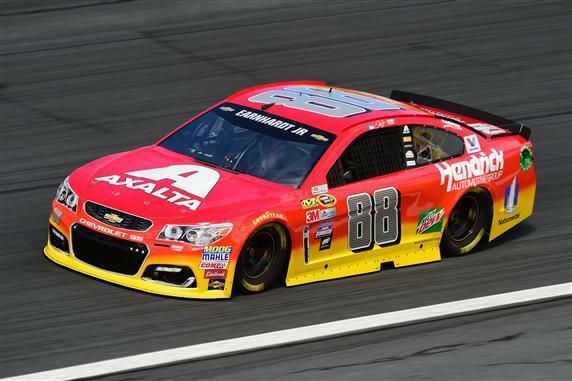 He has won four races at Charlotte and has posted four top 10s in his last five starts. What to Watch For: Daniel Suarez (6.6) and Elliott Sadler (8.9) – both of whom have advanced to the NASCAR XFINITY Series Chase Round of 8 via victories – lead all championship contenders in average finish at 1.5-mile tracks this year. … The Chase bubble is packed with 10 drivers within 17 points of elimination. Here’s where the drivers who haven’t clinched berths in the Round of 8 stand: Justin Allgaier (17 points ahead of Ty Dillon on the cutoff line), Brendan Gaughan (+14), Ryan Reed (+11), Darrell Wallace Jr. (+10), Blake Koch (+4), Brennan Poole (+3), Dillon (-3 points below Brennan Poole on the cutoff line), Erik Jones (-4), Ryan Sieg (-10) and Brandon Jones (-18). … NASCAR Sprint Cup Series drivers Kyle Larson, Matt DiBenedetto, Josh Wise, Brad Keselowski, Austin Dillon, Joey Logano and Kevin Harvick are all scheduled to compete in Friday’s NASCAR XFINITY Series race.